Stephen Warbeck is an Oscar and BAFTA winner English composer, best known for his film and television scores. He began studying piano and composing at the age of four. He studied Drama and French at Bristol University, and began his career at the Theatre Royal as a musician and actor. After eight years of working as a composer and performer for the stage, Stephen began writing music for film and television. Since the early 1980s, he has built up a considerable filmography with up to one hundred credits. He has scored several feature films including “Proof” (John Madden,2005), “Quills” (Philip Kaufman, 2000), “Billy Elliot” (Stephen Daldry, 2000), “Mon Roi” (Maïwenn, 2015) and “Shakespeare in Love” (John Madden, 1998), which earned him an Academy Award and several nominations for Best Music. And has scored many television series, such as “Screen Two” (1985), “Prime Suspect” (1991) and “The Hollow Crown” (2012), for which he won a BAFTA Award for Best Original Television Music. In addition to composing for film and television, Stephen has written music for numerous radio plays, and is a founder member of the anarchic pub band The hKippers. He has his own ensemble and another small band called The Metropolitan Water Board. His latest works were the British productions The Winter Butterfly, directed by Marcus Tozini, and Timeless Eye (Edilberto Restino), to premiere in 2018. The Music Composing for Film course will focus on a diversity of topics of the art of Music composing for Film, you will have the chance of not only receive this knowledge from Stephen Warbeck, but also interact in a very strong way, as the group will have up to 25 participants, making it extremely practical and interactive. You will also have the opportunity to assess the issues you encountered on your own work and the projects you have worked on or will work, and receiving the feedback to unblock situations in the future. Introduction to Stephen and his work. Introduction to the participants and their work/experiences and goals. How do I get into the business? What sort of composer are you? How do you know what your voice is before you’ve had a chance to write? Do you need your own voice? BEING A FILM COMPOSER - WHAT DOES THAT ACTUALLY MEAN? Does this have any relevance to anyone else’s career path? Is the music you write the most important part of your job? Which is more useful - studying film scores or classical music? Coming byour own voice… Is this important or not? Stephen will show a few examples. Each course member will bring one cue to play which represents them best. Trends in film scoring. How this affects how you write. Should be take any notice of fashion? Working with directors and producers who don’t agree with each other. Giving away your rights for opportunities and working for free. 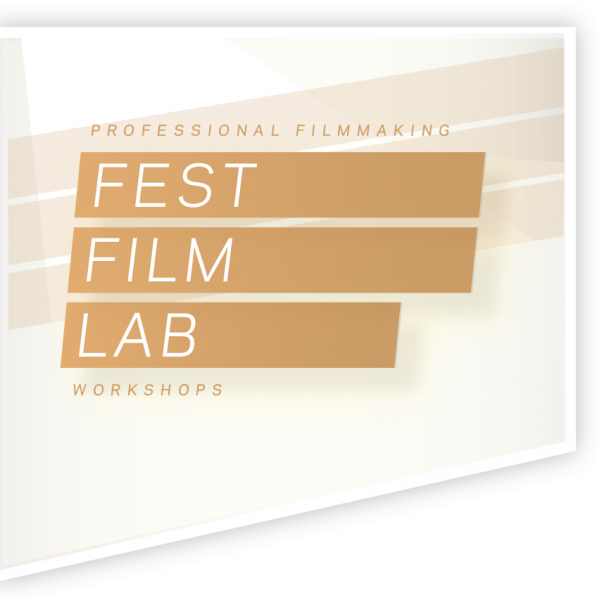 The workshop designed for Film Composers, Film Directors, Sound Editors, Film Students, or anyone interested in entering the Film Business on the area of Music Composing for Film. Please add our address to your email safe senders list, address book or contact list to avoid FEST e-mails in spam.